Many Borough councils, Parish councils, and Government commissions, already host their websites and/or DNS with us. 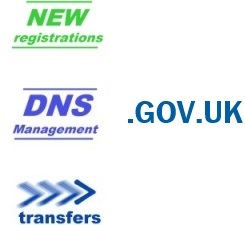 FREE DNS hosting - always free when the domain registration renewal is via us. No ties, if required upgrade/downgrade or cancel after 12 months with no penalties. Contact us for more details. Or create your account now.